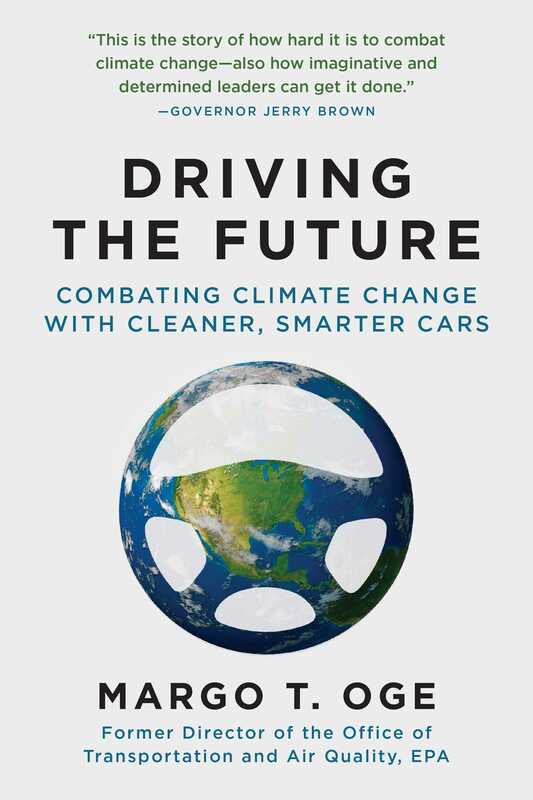 Now in paperback, with a new foreword by Fred Krupp, an expert's illuminating preview of the cleaner, lighter, smarter cars of the future. In Driving the Future, Margo T. Oge portrays a future where clean, intelligent vehicles with lighter frames and alternative power trains will produce zero emissions and run at 100+ mpg. With electronic architectures more like those of airplanes, cars will be smarter and safer, will park themselves, and will network with other vehicles on the road to drive themselves. As the director of the EPA’s Office of Transportation and Air Quality, Oge was the chief architect behind the Obama administration’s landmark 2012 deal with automakers in the US market to double the fuel efficiency of their fleets and to cut greenhouse gas emissions in half by 2025. This was America’s first formal climate action using regulation to reduce emissions through innovation in car design. Offering an insider account of the partnership between federal agencies, California, environmental groups, and car manufacturers that led to the historic deal, Margo discusses the science of climate change, the politics of addressing it, and the lessons learned for policy makers. She also takes the reader through the convergence of macro trends that will drive this innovation over the next forty years and be every bit as transformative as those wrought by Karl Benz and Henry Ford. Driving the Future is for anyone who wants to know what car they’ll be driving in ten, twenty, or thirty yearsand for everyone concerned about air quality and climate change now. Margo has given us a fascinating insider’s view of regulatory development and a framework for collaborative rulemaking that literally changed the faceand tailpipesof an industry, and a thoughtful look forward to future opportunities.” Tom Linebarger, chairman and CEO of Cummins Inc.